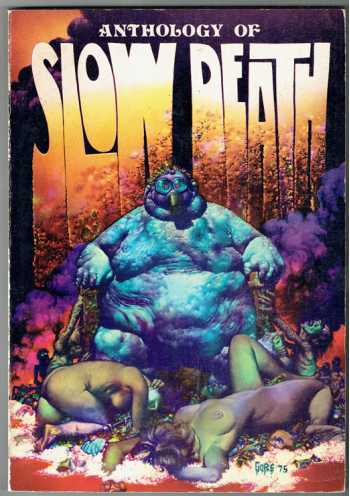 Slow Death published by Last Gasp featured socially conscious, environmental comix inspired by EC Comics. This 1975 anthology collects nearly all of the stories from the first six issues of the legendary underground comic. 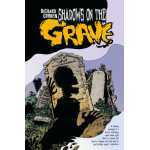 Features Richard Corben with four stories (including "How Howie Made It in the Real World" and "Mangle, Robot Mangler") and three by Rand Holmes. 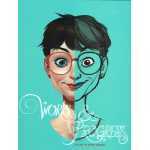 Additional stories by Fred Schrier, Jim Osborne, Jack Jaxon, Dave Sheridan, George Metzger, Greg Irons & Tom Veitch, Robert Crumb, and Charles Dallas. An eight-page color section reproduces the covers of issues 1-6 (1970-1974). Introduction by Harlan Ellison.